OS X has some decent built-in apps that help us in our day to day tasks. However sometimes we need more powerful apps to run some specific types of files. One example is VLC, we prefer it over the built-in QuickTime player because of the fact that it offers an extensive support for different formats and a lot more control over the video playback. 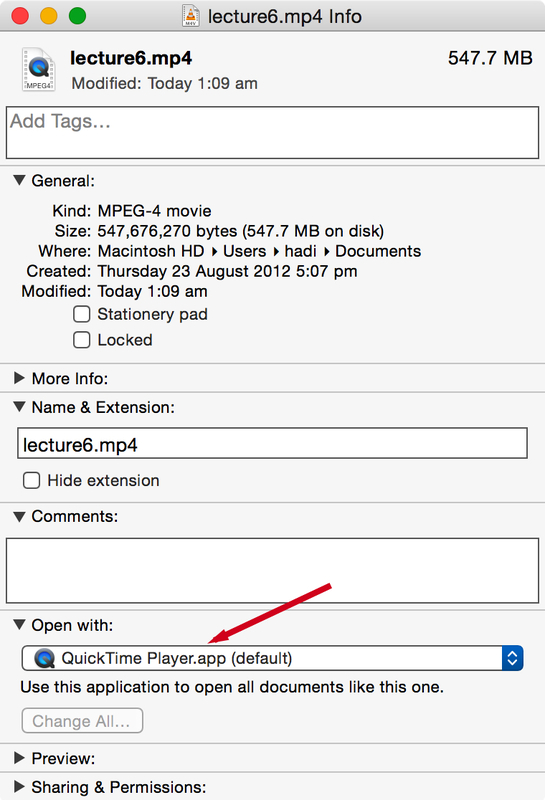 By default when you double click an MP4 file on your Mac, QuickTime player starts playing the video. What if you want to play it in VLC or any other player? The good news is OS X gives you power to change the default app for any format in Mac. Today we will guide you through the simple process that will allow you to change the default app for any file format in Mac. 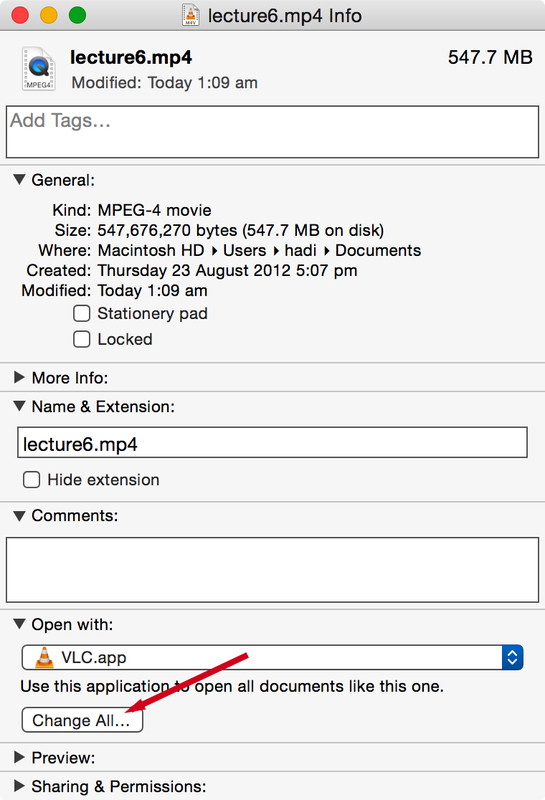 Note: In this tutorial we will be changing the default app for an MP4 file. You can follow the exact same method for any other format. 1. Click or tap with two fingers on the mp4 file. 2. A menu will appear. Click “Get Info”. 3. A little window will appear. In the “Open with:” section select VLC (or any other player). 5. Now to make it applicable to all mp4 files, click the “Change All…” button. 6. A confirmation box will appear asking whether you want to make changes or not. Simply click the “Continue” button. That’s it! 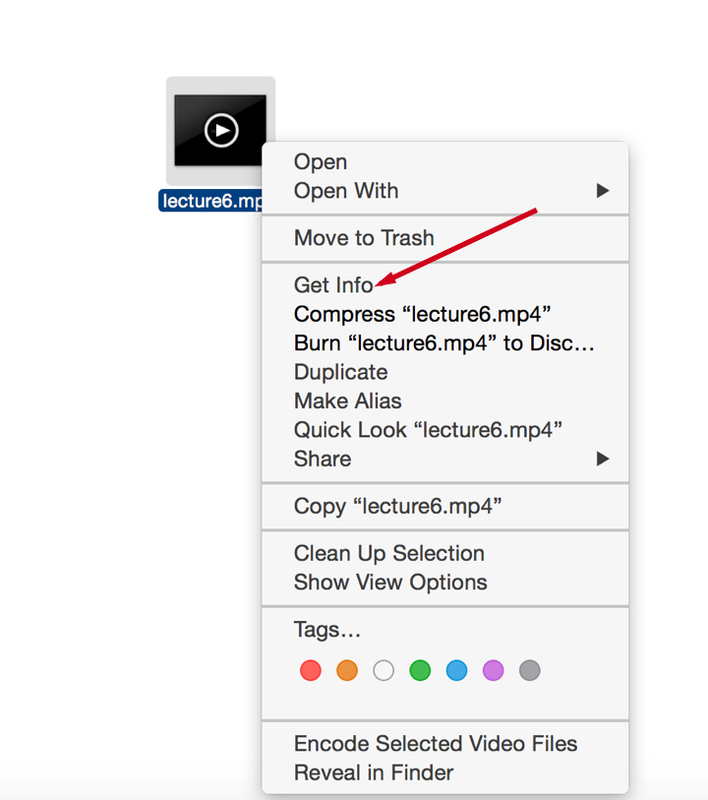 Now every time you will open a file of the same format, OS X will open it in your chosen app.